This is the most exciting time of the year for sports fans; everything is happening all at once. The one downside of having such a large concentration of sports is that it can be tough to keep up with everything going on. Just like the pros, action in Ontario University Athletics is very much underway. Lost in the fervour of the stellar play of the women’s soccer team behind U Sports Athlete of the Month Stephanie Roberts, the provincial dominance of the cross-country team, the basketball teams’ hot starts, and the unfortunately early end to the football team’s season, is the beginning of volleyball season. 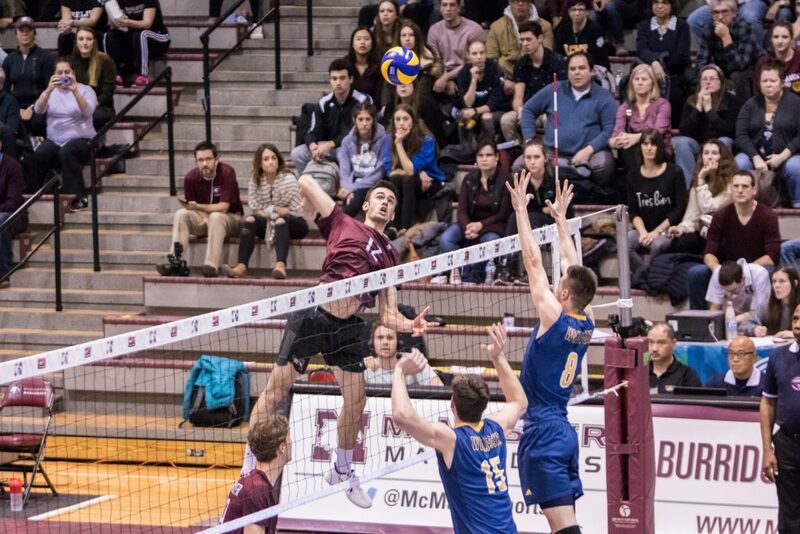 McMaster has consistently had nationally-ranked volleyball programs for both the men’s and women’s teams. Here’s a rundown of what you need to know for the upcoming season on the court. The team will be led once again by head coach Dave Preston, now in his 17th season with the team. The OUA West Coach of the Year in 2017-18 led the Marauders to nine OUA Championships during his tenure, with medals in the last six national championship tournaments. The men will be missing a key presence on the court this season, as outside hitter Brandon Koppers exceeded his eligibility last year. He is joining ZASKA Kedzierzyn-Kozle, one of the world’s top volleyball clubs, who play in Poland’s PlusLiga. The three-time OUA All-Star was a 2018 Second Team All-Canadian and U Sports Championship All-Star. Koppers led the team in points per set (4.5) and kills per set (3.8) in 2017-18. Despite losing Koppers, the Mac men have a rotation full of experienced and talented players, ready to dominate the league. Fans will remember fifth-year outside hitter Andrew Richards, who was named OUA West Player of the Year and First Team All-Canadian during Mac’s championship season last year. Richards is joined by fellow OUA First Team All-Star Matt Passalent, who finished in the province’s top five of hitting percentage in 2017-18. Also in the rotation will be a stable of young stars who had breakout campaigns last season, including setter David Doty, who finished in the country’s top 20 in assists last year, and middle Bennett Swan, who was named to the 2017 OUA All-Rookie team. Outside hitter Nathan Delguidice also figures to have a solid season, already amassing 32 kills and 34 points in two games. 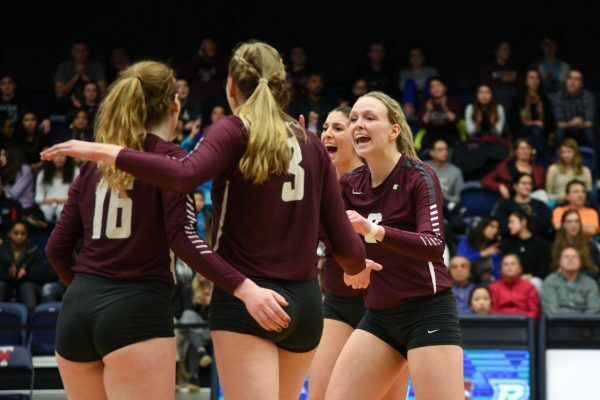 The women’s volleyball team is coming off another strong season, losing only two regular season games on their way to capturing an OUA Silver Medal, losing to the eventual National Champion Ryerson Rams. Although the women’s volleyball team was unable to crack the U Sports Top Ten entering the season, the women had a strong preseason, making the final in the annual McMaster Thanksgiving Classic. 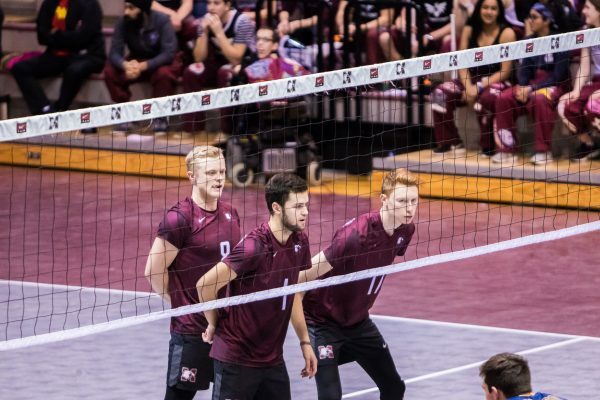 The main constant for McMaster volleyball is back once again, as head coach Tim Louks has speant 29 seasons as head coach for the Marauders, originally serving as the men’s coach for three seasons in the 1980s, and time as a varsity player before that. The Hamilton native led the women’s team to three OUA Championships and was named OUA Coach of the Year six times. Unfortunately for the Marauders, there are many key parts of their rotation who have moved on from Burridge Gym. This includes middle Maicee Sorensen (2017-18 OUA West Player of the Year, U Sports First Team All-Canadian, OUA West First Team All-Star), outside hitter Joanna Jedrzejewska (three-time OUA all-star), libero Carly Heath (2017-18 OUA Second Team All-Star), outside hitter Aleks Arsovic (2017-18 OUA West First Team All-Star), right side Jill Eisenhauer and setter Caitlin Genovy (OUA Second Team All-Star). Following the exodus of starters, the women’s team have several players who are already prepared to take over, impressing in the team’s young season. They will be led by third-year middle Hailey Kranics, who held down the middle with Sorensen last season, right side Jessie Nairn, who has 25 kills and 31.5 points in the young season, and fourth-year libero Zoe Mackintosh, who contributed 28 digs in the season opener. Both teams will host the Queen’s University Gaels on Nov. 9 for their home openers in Burridge Gym for what promises to be another exciting season.